Cormac McCarthy’s The Road (2006) presents a dystopian vision of a near-future world in which most organic vegetation has died and human life is becoming increasingly rare. It is not unusual for dystopian fiction to represent the future as a desolate space, but McCarthy’s is a world in which the landscape still displays the iconography of the old world’s late capitalist culture. McCarthy’s novel bleakly contrasts the annihilation of the natural with the apparent immortality of the material: stores, products, brand identities and remnants of disposable print media are all physical signifiers of advanced capitalism’s presence in the new post-apocalyptic world. While the natural world burns, the built environment 'will probably be there for hundreds of years' (McCarthy 19) and, ironically, while the planet’s natural resources are irrevocably lost, the father can casually 'read old newspapers' (McCarthy 28) which have survived that which most of the world has not. McCarthy subtly deploys images of mass-produced print media, brands and man-made products throughout the novel, and it is perhaps this subtlety that has resulted in Jesse Kavadlo and David R. Jarraway overlooking the (often literal) littering of the post-apocalyptic landscape with signs of consumerism. Kavadlo holds the view that The Road can be located in a post-9/11 context, belonging to a canon of unrelated works which seek to ‘forget’ the terrorist attacks in New York by omitting references to them. Describing McCarthy’s as a novel which 'clearly displays the apocalyptic tropes of the post-9/11 world' (Kavadlo 73), he argues that the towers remain absent because 'consumers [have] little appetite for a reminder' of them (Kavadlo 62). Kavadlo’s view is supported by Jarraway, who also locates the novel in post-9/11 debates, owing to its emergence 'in the wake of America’s decade-long obsession with security' (Jarraway 51). Yet, arguing that the towers’ absence proves that McCarthy consciously omitted them is contestable: alternatively, as I will argue, the novel may not locate itself within a specifically post-9/11 context, rendering the towers’ absence irrelevant. In addition, suggesting that this is a novel about the nation rather than 'a planet that no longer existed' (Jarraway 163), or that the novel seeks to please consumers’ appetites, is to overlook the textual evidence that emerges from a close-reading of the landscape. Rather, I will argue that the persistence of capitalist iconography positions the novel as a vision of life after capitalism’s global collapse where consumers have exhausted their natural resources, and suggest that McCarthy presents a world – not a nation – which explores the tensions between the values of the old and new worlds. McCarthy’s landscape is littered with consumer-orientated symbols, both literally and metaphorically. Magazines and newspapers are dispersed across the 'barren' (McCarthy 2) space, lying among the 'charred and limbless trunks of trees' (McCarthy 6): McCarthy ironically contrasts the idea that newspapers and magazines belong to disposable print culture by repeating their presence, while simultaneously emphasising that the organic resource used to sustain print culture – the trees – has been destroyed. The magazines and newspapers serve as a satirical memento mori, a reminder of what could happen as a result of mass production and consumption. Also present, metaphorically littered across the landscape, are stores, gas stations, billboards and concrete instalments which illuminate the natural world’s absence. Although 'the city was mostly burned' (McCarthy 12), these fragments of capitalism remain intact. As the man and boy pass through various unidentified locations, they encounter these relics of the old world, though perhaps not always coincidentally. Ashley Kunsa notes that, for readers, their journey is evidently southbound, but no geographic location is given, other than that it is set in 'what used to be called the states' (Kunsa 36). She also notes that the man’s memories and familiarity with the space indicate that he knows his location. McCarthy chooses to withhold the route of the journey from the reader, and '[omits] the names of the pre-apocalyptic world [to allow] the ruined places […] to be left in the past' (Kunsa 64). In addition to not naming the man and boy, this omission is intentional – to simultaneously represent a universal human experience after the apocalypse, and show human loss: both the loss of life and of identity. Furthermore, while there are few people left alive, not giving the two central characters a distinct identity positions them as representatives of all members of their generation: the man, a synecdoche of those who lived before the apocalypse, and the boy, of those born after. This posits that this future is one that all of mankind’s survivors will inhabit, though few will live to experience it. Likewise, their unknown location, devoid of any landmarks or distinguishing features other than the man-made symbols of consumerism, can be seen as a microcosm of the new world and, in it, their journey as one that renegotiates the ethics of consumption. That these landmarks do not indicate their location highlights globalisation’s reductive impact on regional and national identity. Kunsa finds that the universality placed upon people and places ‘demands that we judge a man, that we know him, by the nature of his deeds’ (Kunsa 61). In identifying characters by their actions and values as they interact with their environment and one another in ‘a world where ethical and moral distinctions matter’ (Kunsa 61), McCarthy opens up debates about the ethics of consumption, including its ecological impact, in which the reader is actively involved through this process of judgement. 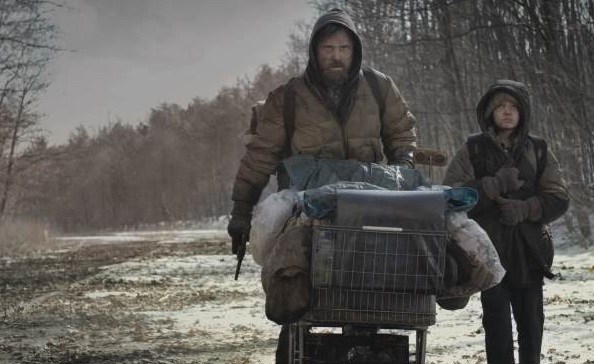 An obvious moment which signifies that consumption is integral to critical perspectives on the novel is when the man and boy stop in an abandoned town. In stark contrast to when they eat ‘the last of the apples’ (McCarthy 135), which in itself indicates the end of a natural resource, the billboard opposite them gestures towards consumer culture. The former townspeople ‘warned people away with messages scrawled on billboards’ (McCarthy 135) in a literal sense, but McCarthy’s own warning is more subtly embedded within the billboard image. The ‘pale palimpsest of advertisements for goods which no longer existed’ (McCarthy 135) is visible beneath the warning message left there; the language of this sentence contains layers of deeper meaning in the same way that the billboard is layered. The notion of a palimpsest – a record which can be erased in place of another – not only describes the layers of advertisements, but also the nature of the transition from the old world to the new. The apocalypse, though not clearly detailed, has erased most of the old world including consumer goods but the landscape does still contain capitalism’s remains (including the billboard). McCarthy presents a world in which it is still possible to consume, though the consequences of doing so without moderation are made clearly visible to the characters, and to the reader. Given that McCarthy represents a generic space and barely identifiable protagonists, and makes the conscious decision to distance the reader from knowing what the man knows about this environment, it is evident that the reader is intended to engage with, and reflect upon, the ethics of consumption that McCarthy proposes; a contrast to mankind’s previous practices which have resulted in the apocalypse. Alex Lockwood shares this view and positions the novel as ‘a tool for recruitment and re-growth’ (Lockwood 276) as, through empathy, readers are intended to understand over-consumption’s consequences. Evidently the boy’s desire to share and inclination to thank ‘the people who gave us all this’ (McCarthy 154) is what makes him profoundly good, but readers are made aware that the father is not like the boy: by withholding his pre-apocalyptic memories, the father protects his son from knowing that he – a representative of the older generation that caused the apocalypse – is not a good guy. In the exchange above, and elsewhere in the novel, the father mirrors the language of the boy to reflect his son’s innocence: he cannot, however, articulate his own genuine belief that he is also good. It is for this reason that he must die. The final scene of the novel occurs on the beach and, for the man, is literally and metaphorically the end of the road. His journey to protect (and perhaps reflect) his son’s values, those needed to build a new world, is complete: he accepts that he himself can ‘go no further and that this was the place where he would die’ (McCarthy 296). The boy states that ‘I want to be with you’ but the man makes it clear that he cannot as he must ‘carry the fire’ (McCarthy 289). His death is necessary because of what he represents. 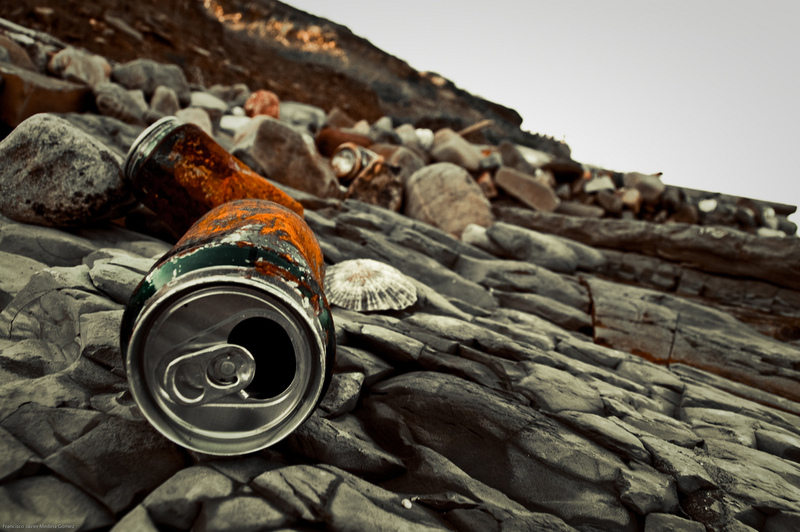 Lockwood notes that the beach ‘is the site of the detritus of a capitalist system washed up’ (Lockwood 275) and the father symbolises this system and its ideology, and so too must be washed up for progress to occur. Following his death, his son is adopted by a man who, unlike his father, can declare that ‘I’m one of the good guys’ (McCarthy 302) thus indicating that he shares the boy’s values and there is a hopeful alternative to advanced capitalism for a future world. However, the polarisation of beginnings and endings is not exclusive to the man’s death, and the beginning of the boy’s new life. For the reader, who McCarthy positions as an observer, this is the end of the novel. In the act of reading and finishing the book, the reader’s ‘journey’ is most like that of the father, given that they are allowed to observe the father and son and the places they visit, but are not granted access the spaces of the new world; instead they are left on the beach, themselves part of the capitalist waste. As a precursor to this, the boy suggests that ‘stories are supposed to be happy’ (McCarthy 287), but the tone of pathos throughout seeks to engage the reader in reflecting upon their culture causing its own demise: in these uses of meta-fictional strategies, McCarthy articulates Lockwood’s notion that the novel attempts to recruit readers and inspire change most prominently. Returning to the original point made by Kavadlo, in addition to emphasising the view that The Road was a novel about the nation-state after 9/11, he also claimed that the absence of the twin towers was due to readers’ lack of appetite for being reminded of them. Through a close-reading of the novel however, it is evident that McCarthy does not seek to fulfil readers’ appetites, but to force them to reflect critically upon their desire to consume and the impact that mass production and consumption will have on the world’s natural resources. Though I have agreed with some of what Ashley Kunsa has found, I disagree with her notion that The Road is a novel where ‘artifice, self-consciousness and irony are burned away’, thus making it hard to classify postmodern. On the contrary, McCarthy employs all three of these tropes and the novel, in its meta-fictional moments it seeks readers’ engagement in empathising with the pathos of the narrative to reflect upon their own consumption. Its display of artifice is reserved until the end when McCarthy, who asks readers to judge the characters, reverses this judgement and ends readers’ journey along with the man’s life, inhibiting their entry into the new world. Graham Matthews says of postmodern satire that ‘rather than celebrating the free play of the desire that functions as an ideological support for the conditions of late capitalism, contemporary satirists have worked to re-establish points from which ethical interventions can take place’ (Matthews 31). This, I conclude, is The Road’s literary context: rather than being a work of post-9/11 fiction, McCarthy utilises the marginal, post-apocalyptic space between a lost world and a future world to satirise globalised consumerism, representing a landscape upon which remnants of ‘disposable’ culture are littered, and humanity and nature both face extinction because of the desires of one. Antony Mullen is a Graduate Student in the School of English Literature, Language and Linguistics at Newcastle University, and a Research Assistant in the Department for Quality in Learning and Teaching. He has previously published on childhood and trauma in film, film pedagogy, and contemporary fiction, and presented conference papers on similar topics. Antony is currently working on a chapter for an edited collection on Hard Times and Popular Culture, and an entry on the United Kingdom for the SAGE Encyclopaedia of War. Jarraway, David R. ““Becoming-Woman”: Masculine “Emergency” After 9/11 in Cormac McCarthy”. Canadian Review of American Studies. 41.1:2012. pp. 49-64. Kavadlo, Jesse. “9/11 Did Not Take Place: Apocalypse and Amnesia in Film and The Road". The Popular Culture Studies Journal. 1.1:2013. pp. 61-83. Kunsa, Ashley. 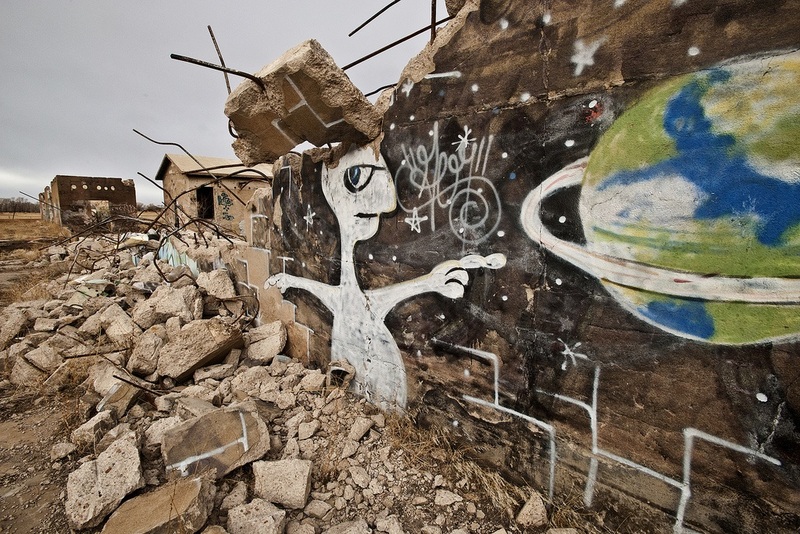 ““Maps of the World in Its Becoming”: Post-Apocalyptic Naming in Cormac McCarthy’s The Road”. Journal of Modern Literature. 33.1:2009. pp. 57-74. Lockwood, Alex. “The Shore is Not a Beach”. Land and Identity. Ed.C. Berberich, N. Campbell and R. Hudson. (Amsterdam: Rodepi, 2011). Matthews, Graham. Ethics and Desire in the Wake of Postmodernism: Contemporary Satire. (London: Bloomsbury, 2012). McCarthy, Cormac. The Road. (London: Picador, 2006).